When Claire Price arrived in Hong Kong 18 years ago she considered running the 5 kilometres of Bowen Road a long way. Fast forward to today and she is running her final race in Hong Kong before leaving the city with a trail résumé that includes records and wins at some of the world’s top ultramarathons. 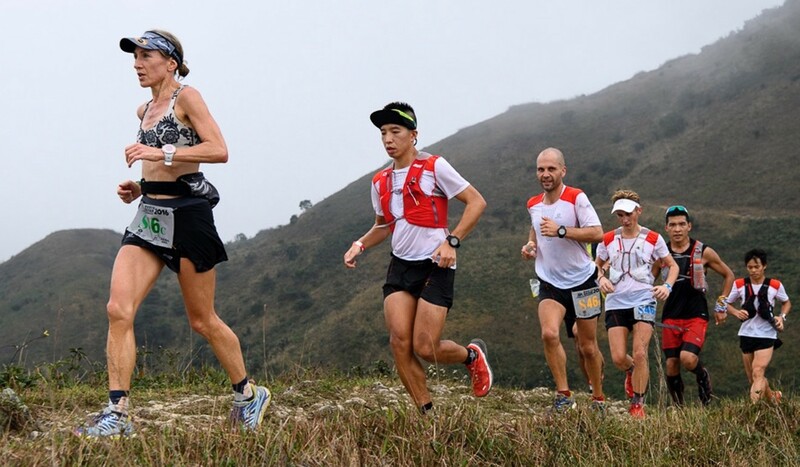 Price will run the Barclays Moontrekker – one of Hong Kong’s most popular races, 42km at night around Lantau on October 19 and 20 – before moving to Portugal. She is not nostalgic about her time running in Hong Kong but is quietly chuffed with her accolades. 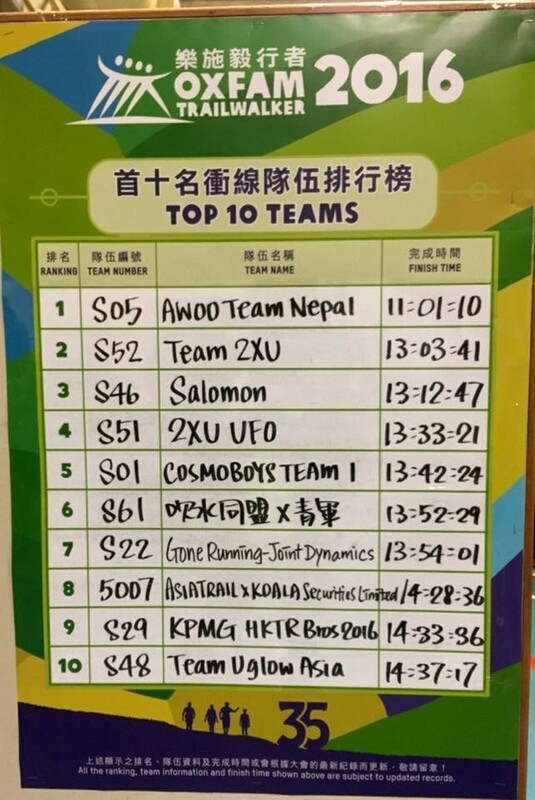 Those include a HK100 record in 2013, records and podium finishes at Oxfam Trailwalker; an overall first place at Moontrekker’s 30km distance; and second place finishes at the 120km TDS and 100km CCC, which are part of the prestigious Ultra Trail of Mont Blanc (UTMB) week in Chamonix. Her accomplishments and humility earned her the title “legend” from the Moontrekker organisers. Price began to run when a friend convinced her to sign up for the Medoc Marathon. She was not unfit as she had been living in Colorado, cycling and skiing, but she was not a runner. From the marathon she moved to the trails and found her base strength earned from cycling and skiing allowed her to climb quickly. She was invited by friend James Pearson to join his Trailwalker team and the rest is history. “When I realised I was doing well it was a surprise,” she said. Price never took her training particularly seriously, not bothering to monitor her weekly mileage or heart rate, but just ran for the fun of it, which added to her shock when she started racking up prizes. She is also particularly proud of her 2007 Trailwalker team that set the women’s record, and of reaching the overall Trailwalker podium with a mixed team in 2016. The race two years ago was the last time Price raced competitively, and she has since moved her focus elsewhere. Price needed a rest and perhaps if she had been more scientific about her training an increased efficiency might have resulted in more longevity, but the sport of ultra running is rarely kind to the body. Even at Price’s peak, 100 milers (161km) were too much for her. She did finish Western States and Ultra Trail Mount Fuji, but also dropped out of UTMB a number of times. The closest she came to finishing the famous French race was in the early 2000s, when the event was in its infancy. She entered it as training for Trailwalker and once she passed 100km, she decided to call it quits. But the move to Portugal is likely to give her a second wind, so we might see her tearing up the trails once again, albeit in Europe. What’s more, a fellow former Hongkonger who lives in Portugal, Clive Saffery, is in his 60s and still running ultras. He was running 100 milers like Badwater “before some of us were born”, Price said, so is likely to drag her back out on the trails. But first, she will push herself at Moontrekker, a Hong Kong swansong for a runner who has achieved so much. When she started, it was a sport for a few mad people but she will finish with a few thousand other competitors. But for Price, even as the sport has grown and become more professional, she kept a relaxed approach.